4:30 – Our weekly news roundup – compiled by David Ball covers the NDP leadership race, drug legalization, Rohingya in Burma, BC Budget and more. 28:45-59:00 Ingo Schmidt and Irwin Oostindie discuss the final debate featured in the NDP Leadership contest. We play highlights of the NDP leadership candidates held in Vancouver at the York Theatre. How do the candidates line up on the political spectrum between social democrats and democratic socialism? What are their views on the economy, and what’s the difference between free trade vs fair trade? Foreign policy: Was Canada really ever an “honest broker” on the world stage? 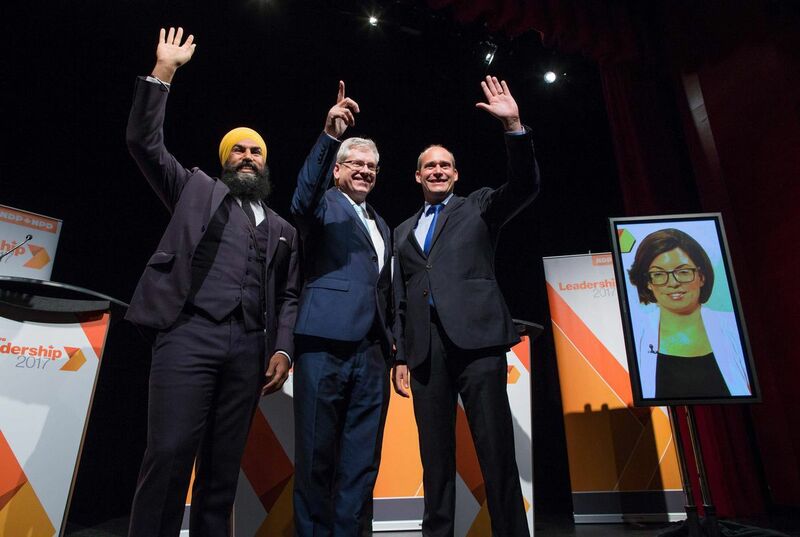 The first round of voting for the new NDP leader is scheduled to begin Sept. 18, with the results to be announced in early October. Candidates will have a final chance to pitch members for support next Sunday during a caucus retreat in Hamilton, Ont.